At the entrance of the cathedral in Reims, sculpted on the pediment of the main door, one can see a character cross-legged bent down by the weight of a Christian who crushes his back. In the basement of Notre-Dame in Paris, one discovered a large stone on which the name "Cernunos" was engraved. It is kept in the museum of Cluny. The reason is, like most of the churches in France, that Notre-Dame has been built on the area of a Gallic temple. On a Gallic coin of the Remes, Gallic population of Belgium (coin of the Catalauni), discovered in the proximity of Reims and coming from the 2nd or 5th century A.C., one can see a woman sitting in zazen posture holding a necklace in one hand and a tress in the other (Museum of the coins). 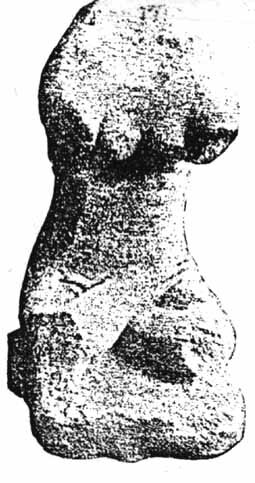 Her posture strangely recalls the character of the bucket of Gundestrup, in Denmark, from the 1st century who holds also a necklace in one hand and a snake in the other. In France we can see in the museum in Saint Germain en Laye the beautiful posture of the "sitting god" (so called), discovered in Bouray near La Ferte-Alais. 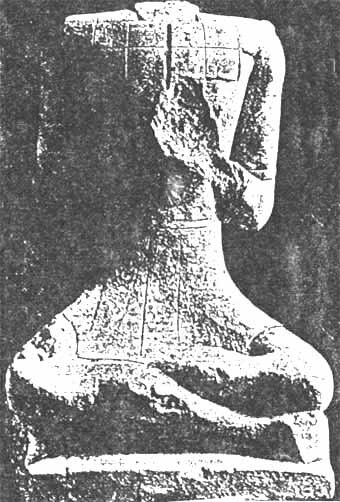 One find also the small statue in brass so called from Autun, coming from Curgy (Saone et Loire), representing a character so-called in "Buddhist posture" embraced by two snakes with a ram head. In the museum Borrely in Marseille one can see characters, however mutilated, which recalls perfectly the zazen posture, although both legs are not tully crossed. They are coming from the excavations of La Roquepertuse and are dated from the 5th century A.C. 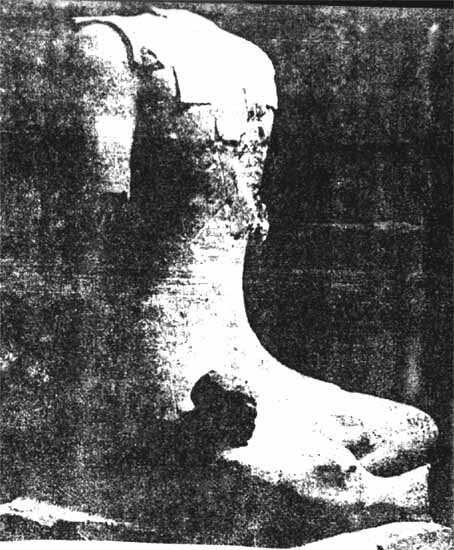 But the statue of a naked woman, discovered in Etaules, Quarre les Tombes (Yonne), from the 5th century B.C., has the legs perfectly crossed in zazen (when the author of this article showed her to Master Deshimaru few days before his death, he cried out: "Now I know why I came to France to teach zazen!"). 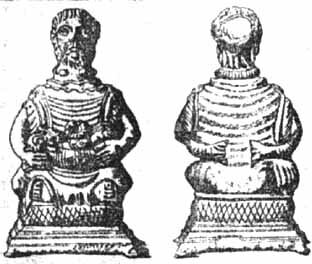 Statues of the "seated God" found in the excavations of Roquepertuse, Fifth century BC., Archaeological Museum of Marseille.